Home DestinationEUROPEFrance	Nice transport guide. Your holiday on a budget. Nice transport guide. Your holiday on a budget. Your personal Nice Transport guide, how to stay on a budget and visit one of the best places in Europe. Don’t avoid the idea to visit South France, it is cheaper than you expect. The French Riviera in common sense is an expensive location where spend the holidays. Nobody on a budget will have the idea to backpacking in Nice, the center of the French Riviera, in South France. Don’t worry this is the right place if you are planning to land to Nice but continuing to stay on a budget and don’t end up bankrupt. Traveling in French Rivera is cheaper than you are expecting. As you know the Cote d’Azur is an exclusive place, where all the luxurious and most known people use to spend the summer chasing the sun. But if it is true that it will be super expensive if you let you go through the luxurious and glamorous places, it even could be really cheap as well, if you are planning everything in the details. The French city of Nice is well known as a very expensive place. But what not everyone knows is that it is possible to have a very nice holiday without spending a fortune. We will try to drive you in the best way to start to save money using the efficient public transport of the city, getting around and discovering the French Riviera on a budget. Using the Ligne d’Azur bus services, you can reach every corner of the coast in less than an hour. You can go from Nice to Monaco by bus, or even from Nice to Cannes and Antibes, reach Marseille or Menton. By train, you can go from Paris to Nice in a couple of Hours, or reach the Italian Border of Ventimiglia in an hour. A lot of Friends of us, land in Nice, strolling around for a few days and go to Cinque Terre in Italy passing by the best landscapes and the most instagrammable places in Europe. You can go from Nice to Monaco by bus, or even from Nice to Cannes and Antibes, reach Marseille or Menton. 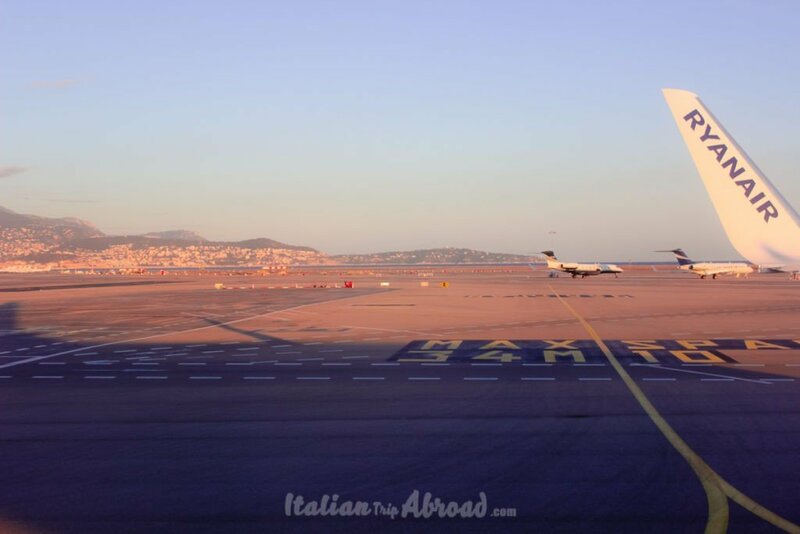 If you are looking at the flight, to spend some time in Cote Azur, why don’t check the bargain for Nice and take a one day trip to Marseille. The city airport of Nice is one of the prettiest, I have seen so far. It is absolutely one of the best of the 2018 trips around Europe we have made. From landing on a little handkerchief of earth, directly on the sea with a magnifique view on the Mediterranean Sea. Avoid taking the taxis, those are really expensive and there is some kind of it are abusive and not really friendly. Reach Nice city Centre is really easy, more than you expect. The airport is really well linked to the heart of the city, with efficient public transport. You have a lot of chance, from the classic and expensive taxi to the Tram and Bus. You can reach the city centre of Nice by bike, using the sharing option the city has to offer. The Villo bikes dock is in front of the arrive exit of the city airport, just going toward the main street. From the city centre of Nice to the Airport will take no more than 20 minutes. Plan in advance your journey to the airport, you won’t miss your flight because of the traffic. The Express Shuttle bus from Nice Airport will reach the main train stations and all the main places of the city centre. 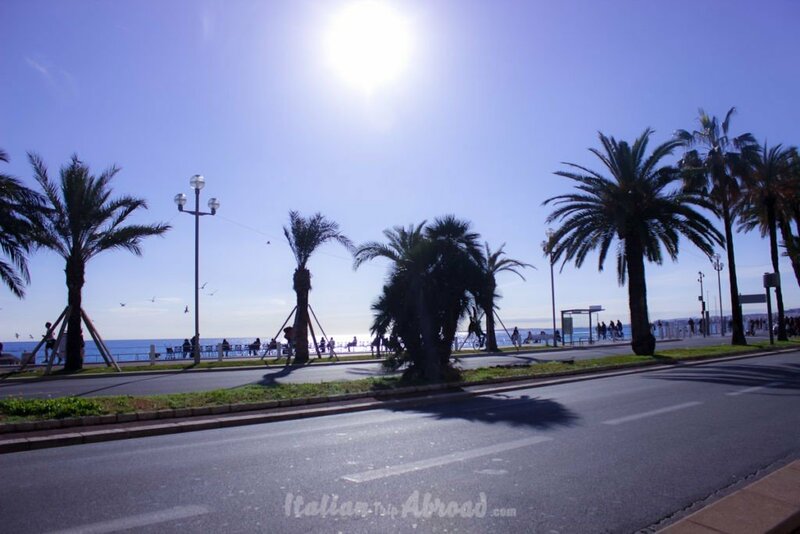 So you can easy go to the Seaport, Nice Ville, Nice Riquier via the Promenade des Anglais. You will pay for this trip 6 euros, you can buy the ticket on board directly to the driver and by cash, it is not possible to pay by card. In front of the exit of Terminal 1 of Nice Airport is located the bus stop of the France transport d’ urbains. this is the cheapest way to reach the city center of Nice. You have to buy the ticket on board, so be ready to have the perfect amount, the driver will change you no more than 10 euro. The ticket for a single fare is 1 euro and 50 cents. This transport way is well known as Nice Transports Urbains and will follow the classic Nice Bus Routes Map. It’s just 5 minutes by walk, out of the Terminal for cut off your starting cost, and get on the floor of Nice the right step. Find the bus stop with the lines 98 or 99, you can do the ticket on board. When you go out of the terminal, follow the instruction for Promenade des Angles and spot the bus stop. At this bus stop there is also a “Villo” bikes, the sharing project of Nice, if you don’t have a lot of luggage and feel strong after the trip, try it for just 2 euros for the day. The airport is not that far to the city centre. Like all the big cities in Europe, even Nice have a great public transport. 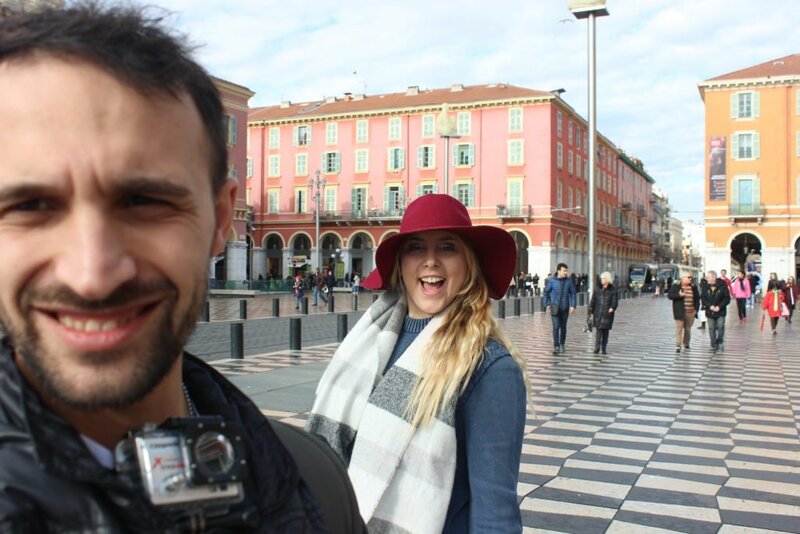 Nice is a walkable city, the city centre is small enough to be visited without taking any transport. 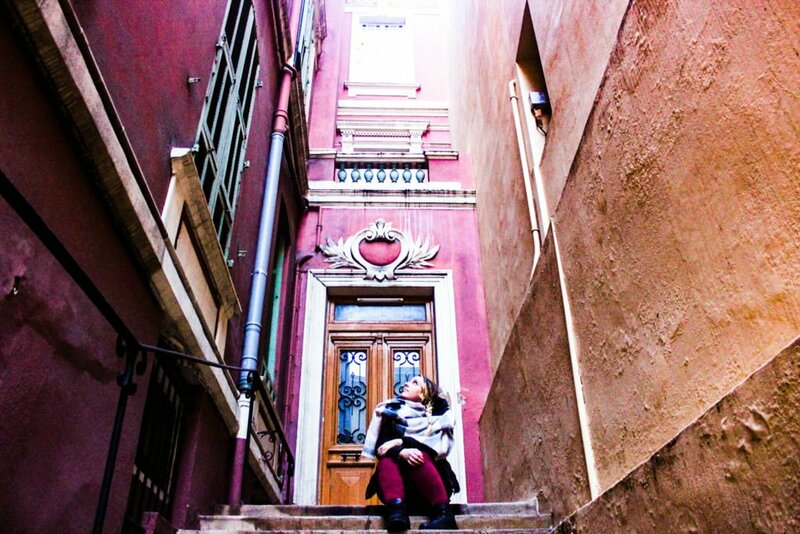 You can go from sightseeing to another getting lost around the little streets of the old town. Download the Nice tramway map, to go around the city centre with the new transport of the ligne d’Azur. There are a lot of Tram Stop at any of it you can find a Nice Tram timetable where plan your journey. If you want to prepay the tickets, you can go for a 10 trip multipass. It will cost 10 euro, you can save easily 5 euro on your pass, but it is valid just in Nice and around. A single day passes it cost 5 euro, there is also the seven days pass for 15 euro. The local bus in Nice are really frequently and on time, the journey will start around 6.00 am and most of them finish late at night. Check the time at the bus stop. From Nice, you can easily reach Montecarlo, Menton, Cannes, Antibes and other landmarks. You can do all your trips out of Nice by bus, even go on the ski slopes in winter. If you want a complete guide to how to reach all these places, you can visit our dedicated guide here. If you want to use the bus to reach the closest landmarks, you are going to use the Ligne d’Azur. It has a different fare valid within different Tariff Zone. From Nice to Monaco, Antibes, Cannes, St. Paul de Vence or Grasse, you can go to take the bus at the seaport, where is the Nice Harbor, behind the Garibaldi’s Square. You need to declare your destination to the driver, but the price will be the same, 1.50 euro for your journey. 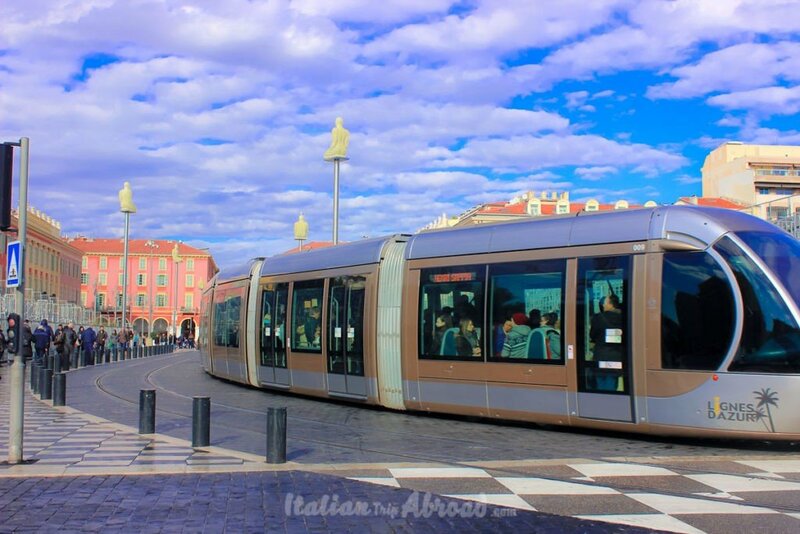 The tram is one of the suggestive things you need to give a try in Nice. Despite in other cities you can find really old vehicles, in Nice, the Tram line is really new and well run. Unlike the buses, on the Tram, you need your ticket before boarding. You can purchase the ticket at the machine at each tram stop. The machine accepts both cash and card. Be aware of the tram and buses, especially in the summertime, when are really busy, it is the favourite place of the pickpocketers. Take your valuables in a safe place. We suggest you do not rent a car for a lot of reasons. One of it is the hard chance to find parking on the streets, opt for it just if you plan to stay in a Hotel with parking included or the chance to have it. Also, if you are planning to visit other cities around Nice, or going to Monaco, if you take the highway you need to pay a tax and there are some stop where you need to pay for the pass on. 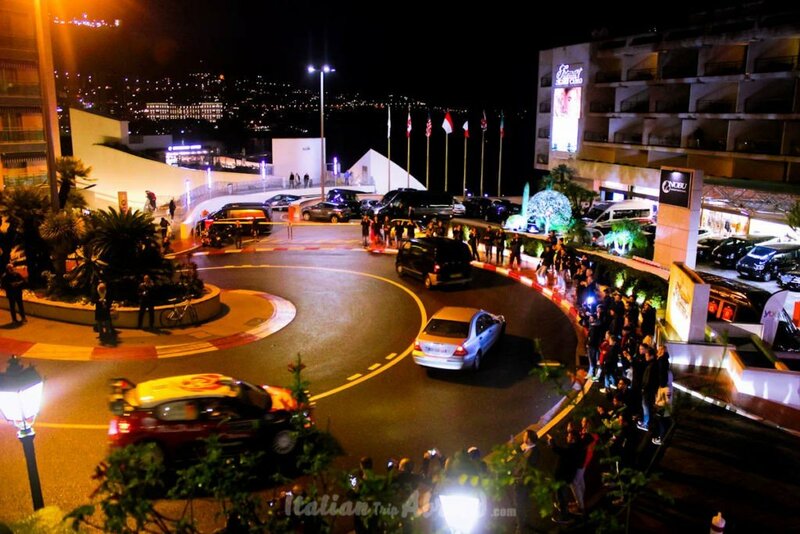 When you arrive in Montecarlo, you need to stop your car in one of the car parking out of the centre, the cost for a day pass is really expensive, even if you rent a city car. I know can be really suggestive to do some curves like in the formula one, I am thinking to come back one day to do it (a man’s dream). As we said before Nice have got a really efficient public transport, it is meaning is safe, relaxing and cheap to take the bus, tram, and trains in the city in the South of France. From Nice is really easy to reach all the beautiful city of the South, from Marseille by train in less than one hour. Visit the Provence, should be one of the top things in your to do list in South France. But the Day trips from Nice are not just to Provence. You can reach the city well known for the Cinema Prize, Cannes is really close, and with just a bus, in less than one hour you will reach this charming city. Reach Antibes from Nice is easy, it is a small city in between Nice and Cannes. With the same bus, from the Promenade of Nice, you can reach Cannes and Antibes. You can buy your ticket directly from the driver on board. The Cote d’Azur bus can take you everywhere, you have just to sit and enjoy the landscapes. There is not matter if is summer, spring or even Winter and Autumn, the French Riviera will give you great emotions even with bad weather. 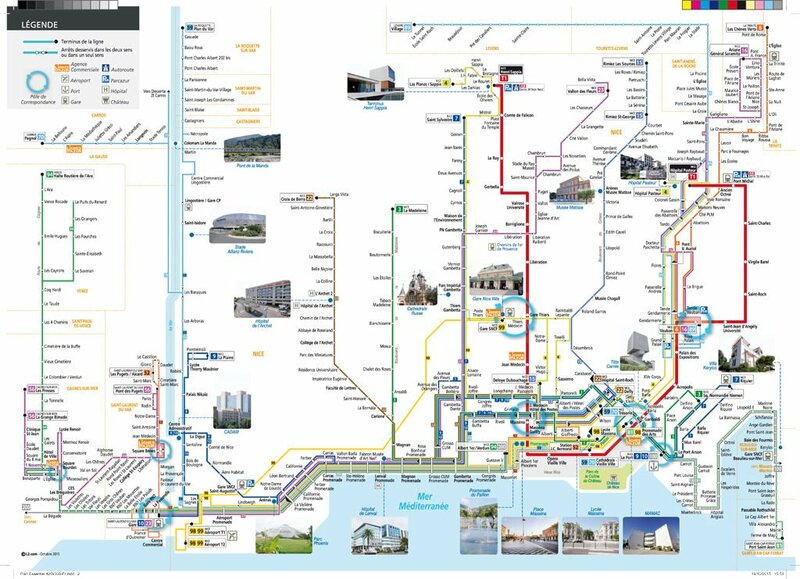 The Bus Routes of Nice, France, are going even away from the national board. 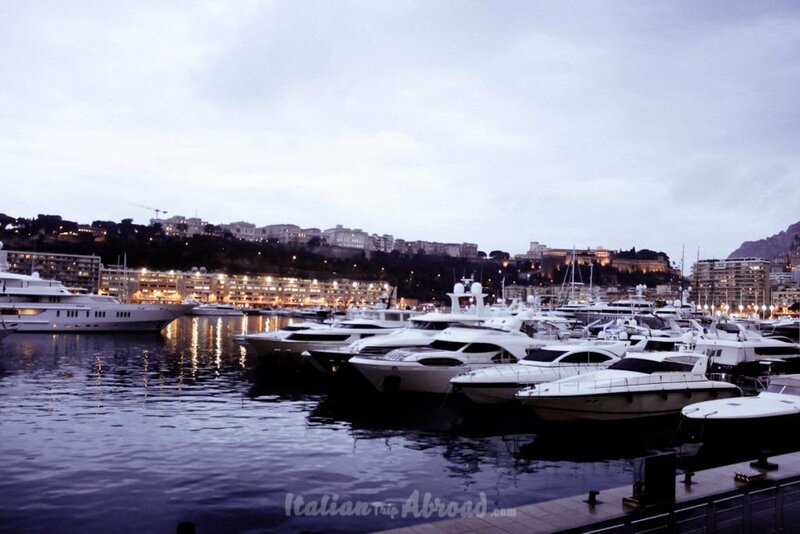 With the bus 100, directly from the city Port, you can reach Monaco. The great city in the Cote D’Azur, famous because the reach people use to come and enjoy the summer. Made famous because of the Rich family of Grimaldi that are still running the Reign. If you want to explore more the South of France, we will suggest you buy a French Riviera Pass, with that you can use all the Ligne d’Azur bus service and Cote d’Azur Bus. You don’t have to pay tickets on board. Take your card visiting the Ligne d’Azur office of Nice, just behind Garibaldi Square. To get back from Monaco to Nice with public transport in the same way, passing by amazing towns on the Mediterranean sea. You will pass by Saint Paul de Vence, Villefranche-Sur-Mer and Saint Jean Cap Ferrat. If you want, you can stop in those amazing paradise corners, explore the little towns on the sea,the great ports. Later on go back n your route to Monaco again, or come back to Nice. The bus 100 and 100x is an authentic institution for locals and travelers. This is included in the Cote d’Azur public transport, you can travel on it using your Cote D’Azur travel Card. The bus will run from Nice, from the main port to Monaco, going through amazing scenarios and great landscapes. There are some information is well to know before going to Nice for your next vacation. The Bus 100 will lastly run around 8.30 pm. If you are going to be late, you have to take the train to come back to Nice. During the weekend, from Thursday to Saturday, there is a special bus. It is the N100, hats meaning the Night version of the 100. The bus during those three days of the weekend will run in different hours, from 11.40 pm to 4.10 am. The timetable bus of the N100 Night bus from Monaco is easy to understand. The bus will start the run from Place d’Armes at 11.40 pm, 1.10 am, 2.40 am and 4.10 am. Remember the bus will take you every hour and a half starting from 11.40 pm. The bus will drop you off in the main harbor. How much cost a taxi from Monaco to Nice. If you miss the chance to come back to Nice, losing your last bus, try to get the train. It is the last cheapest chance to come back to Nice. Avoid the idea to pop in into one of the luxury hotels in Monaco, those are super expensive and exclusive. There is no chance to get Uber, it is banned by the Country, and you have to take a taxi. It will charge you around 100-120 Euro We tried to understand how much it will cost for us, and we avoided the idea. Try to be on time. Ok, well. Suppose you have lost your bus to come back to Nice. You miss even the last train to the city of the Promenade and get only two chances for your return. 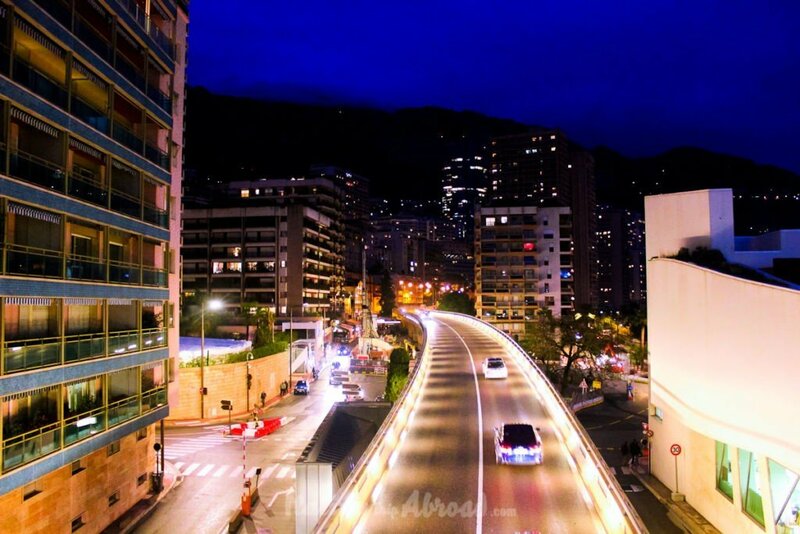 Take a taxi or book a hotel in Monaco and stay overnight. While Uber is banned from Monaco, you have to cross the border, and pass to the France territory to take the Uber. Your return will cost you just around 40 euro and a hike up to the top. easier than you can expect. Walk over the top of the Casino Square, and go up to the stairs, just across the street is France territory. From here you can pin your position in the Uber App and go back to Nice. If you have any suggestion about the transport in Coté Azur we will be really happy to include it. Feel free to contact us and ask suggestions. We have really enjoyed being there!